Fisher German LLP’s offices have once again held very successful auctions over the last month, showing no slowdown in the search for prime rural land and agricultural properties. The Market Harborough office recently acquired the exceptional Grange Farm in South Lincolnshire following a competitive telephone auction involving at least five other bidders. On behalf of the owner, Fisher German acquired the property and in addition, their farming services team will be farming the land and their estate management services team will be looking after the let properties and any other property related business. 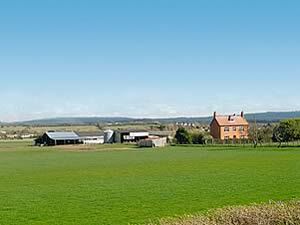 Grange Farm is a commercial 840 acre high quality arable farm with Victorian farm house, two semi detached cottages and farm buildings, close to the village of South Kyme. In a separate auction held on 5 June, Fisher German’s Worcester office successfully auctioned another desirable farm property at North Littleton - an unspoiled agricultural unit with Victorian farmhouse and farm buildings set in around 66 acres. Red House Farm, a Worcestershire County Council holding set in the Evesham Vale, realised £910,000 (£13,750 per acre) and attracted a wide range of interest. Anthony Mayell comments, “The appeal of the property lay in its huge potential for development and this sale demonstrates further that a growing number of people recognise the wide ranging business opportunities which come with owning land”. For further information, contact Anthony Mayell on 01905 888326.